The lord is plentiful of flesh and personality. He is broad shoulders and carries himself with a sense of outward confidence. A grey receding hairline leads to carefully trimmed sideburns and a full beard that is tended to. A moustace curves overhis full mouth and his sharp grey blue eyes are overshadowed by angled brows. He wears the rich tones of his house in blacks with prominent gold embroidery. 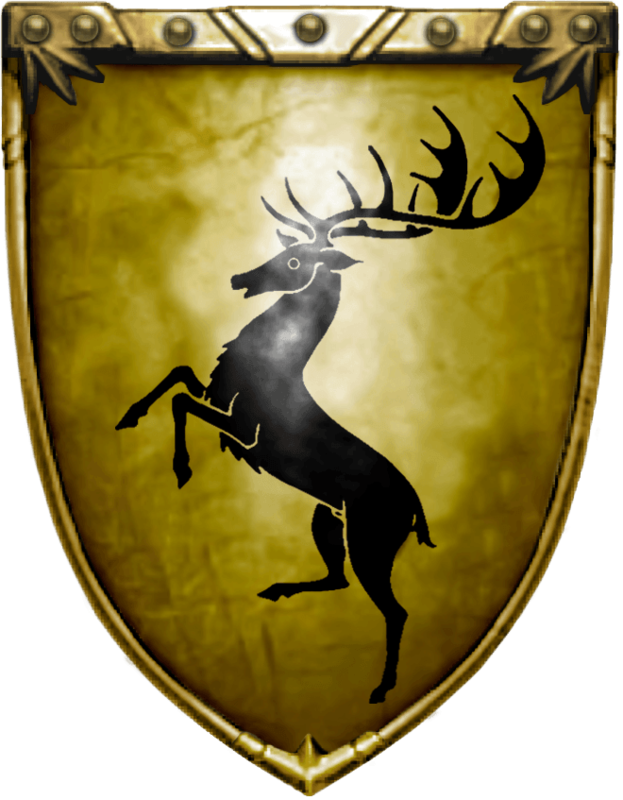 Boremund was the eldest son of Lord Rogar Baratheon and Dowager Queen Alyssa Velaryon. He had a younger sister, Jocelyn. As the Lord of Storm's End, Boremund was a staunch supporter of the claims of Princess Rhaenys Targaryen, his sister's daughter, and Rhaenys's son, Ser Laenor Velaryon, at the Great Council of 101 AC. Boremund and Rhaenys were always steadfast friends. Valeryon: The Lord has Valeryon blood. Stalwart: The High Lord stands strong for what he believes in. Beligerent: He will defend his position even with blind anger.